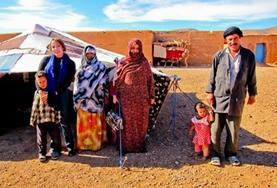 Morocco is an exciting destination in North Africa to spend time on a volunteer programme or work experience placement. Projects Abroad Morocco can offer you volunteer projects on Teaching, Care and Sports placements as well as Language Courses in both Arabic and French. Our projects in Morocco are available for anyone interested in volunteering in the developing world; including those on a summer break from studying, gap year or career break. 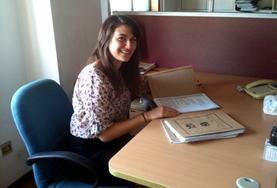 Click to chat online with us and find out more about volunteering in Morocco. Our volunteer office is based in Rabat, an ancient imperial city which is modernizing rapidly and is now Morocco's political capital. 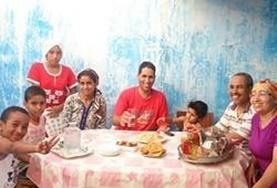 Living with a host family in Rabat gives you a taste of the fascinating culture of modern Moroccan life. With fewer tourists here than in other large Moroccan cities, volunteers will find that local people are eager to engage with them and exchange views. 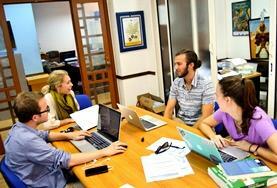 Young Moroccans in particular are eager to interact with their Western counterparts. Morocco is a safe and moderate country that offers a fascinating taste of Africa and gives you the opportunity to learn more about the Arabic and Islamic influences that are shaping the world. Historically, Morocco has been a crossing-point for travellers, migrants and traders from all over Africa, Europe and the East. Such diverse influences have contributed to an amazing richness and complexity in cultural life, from art to architecture, music and cuisine. Morocco has both Atlantic and Mediterranean coastlines, and many of the large towns are also coastal, including the fabulous trading cities of Casablanca, Agadir and Rabat. Inland, on the edge of the Atlas Mountains, lie the equally enticing towns of Fés, Marrakesh and Meknès. In Moroccan cities you will find maze-like alleys and vibrant, fragrant, enticing markets alongside modern districts with wide boulevards, Hispano-Moorish architecture and high-rise buildings. In the interior you will find the snowy Atlas Mountains and communities living in the desert beyond, whose way of life has remained unchanged for generations. There's plenty to occupy volunteers in their free time and after their placements. In Rabat and the other ancient towns, it’s a pleasure just to soak up the atmosphere of the souks and marketplaces, with their acrobats, jugglers and snake-charmers. 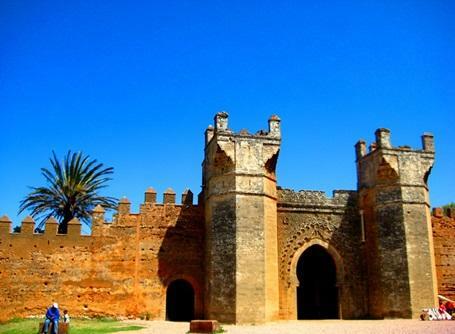 The whitewashed city of Rabat has many attractions, especially its elegant mosques, enchanting palaces, tranquil parks and gardens, its sandy beach (stretching all the way to Casablanca), and its famous blue and white Kasbah, which is well worth exploring. If you’re looking for more exciting activities, it’s easy to organize a trip into the Sahara, where you can enjoy scenery straight from a film-set, as Tuaregs in flowing blue robes ride their camels across seemingly endless sand-dunes. For the more adventurous volunteer, Morocco offers water sports like scuba-diving or white-water rafting. The Atlas Mountains are great for hiking, snowboarding and skiing, whereas the desert is the starting point for camel-trekking and off-roading. Living and working in Morocco may be a challenge, but with so much to learn and so many magical sights to see, it's a challenge you'll be glad you accepted. 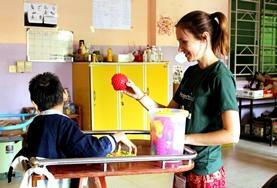 Work alongside local staff in a centre for vulnerable children and those with special needs. 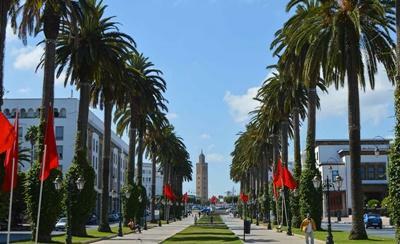 You will be based in Rabat and can expect to get involved in a wide range of activities. 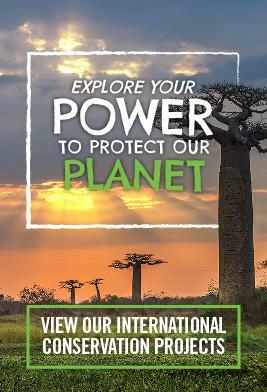 Get involved in work that significantly contributes to a growth in human rights across Northern Africa. This project focusses on supporting the rights of women, children and refugees. By doing your Medicine Elective in Morocco you will be gaining valuable work experience whilst living in this vibrant North African country. Morocco is an exciting country to live and work in. If you are looking to take your Midwifery Elective in a completely new setting then this may be the ideal destination for you. 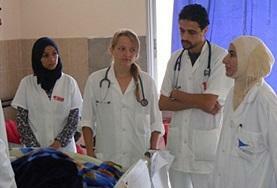 Through taking your Nursing Elective in Morocco you will experience the healthcare profession in a foreign country. 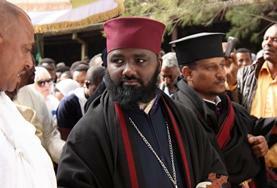 You will also be living and learning in a fascinating culture rich country. If you choose to take your Occupational Therapy Elective in Morocco you will be working in schools and day care centres. As you enhance your skills you will really be making a difference. 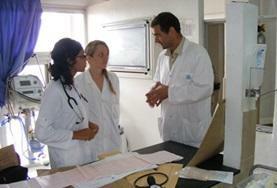 Morocco generally has a high standard of Physiotherapy care. 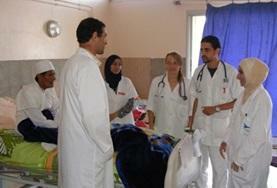 If you want a Physiotherapy Elective placement in an exciting and new destination then Morocco could be ideal. Volunteer on a medical project and gain a fantastic insight into how local procedures and patient support are carried out in Morocco compared to your home country. 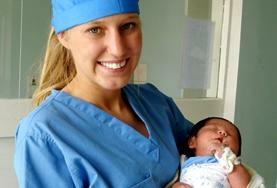 Volunteer on a midwifery placement and work alongside local staff in the maternity department of a hospital. You will have the opportunity to observe many procedures. Volunteer Nursing projects in Morocco are a great way to gain valuable experience in this field whilst living in the fascinating and culture-filled city of Rabat. If you are passionate about making a real difference to the lives of children and young adults then this project may be perfect for you. All volunteers work either in schools or day care centres. Volunteers on this Physiotherapy project will work in either a hospital or care centre assisting and learning from professional local staff in caring for patients. 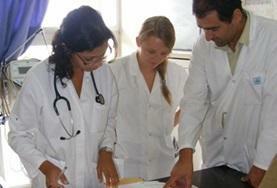 This project will provide you with rewarding work experience in this field. 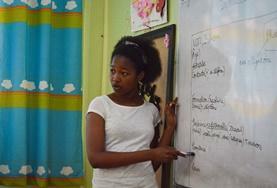 All volunteers work in schools or day care centres where material resources are sometimes lacking. 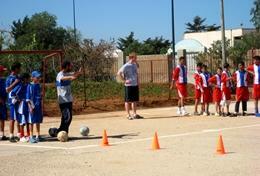 Volunteer on a Multi-sports project in Morocco and work alongside our partner organisation by coaching teams in football, basketball or volleyball. 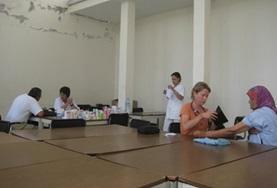 Teach English to students in the Moroccan capital Rabat. Students have a real desire to learn English and, as a volunteer, your role is to bring fresh ideas to the classroom and make learning enjoyable. Increase understanding of IT and computers among students in Rabat. 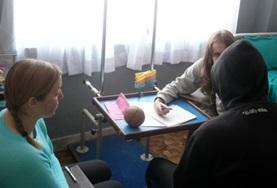 Teachers will also be significantly helped by volunteers who are good at explaining how programmes work. As a French language teacher, you can assist local teachers or take classes yourself at primary, secondary and special language schools in Rabat. Take part in an intensive standalone Arabic language course or sign up for language tuition alongside your regular placement. Take part in an intensive standalone French language course or sign up for language tuition alongside your regular placement. 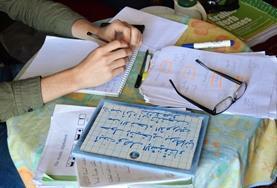 Take part in an intensive standalone Tamazight language course or sign up for language tuition alongside your regular placement. In Morocco, volunteers have the opportunity to learn and practice Arabic or French while making a positive contribution to the lives of children in care centres. 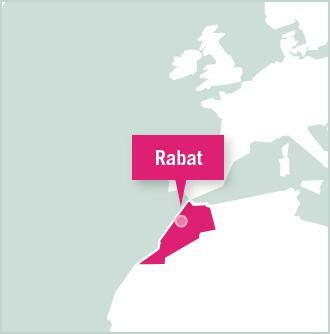 In Rabat, volunteers will assist local staff in caring for children in care centres by playing games with them and helping with their basic education. You will also get a chance to help out with ongoing work to renovate and decorate the centres.